Hi there! Laura here and today I have a few little favor bags to share with you featuring the adorable Favor Bag Accessory-Halloween Creative Cuts. 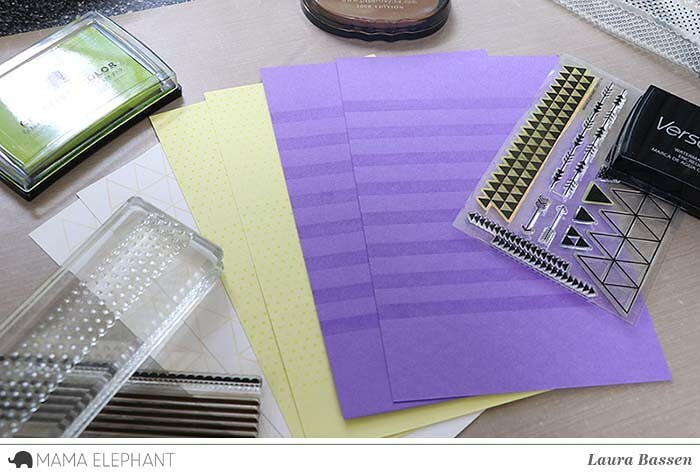 To add some detail to the favor bags I used a few borders stamps and stamped them onto colored cardstock. I used Trifecta on the cream cardstock, Boutique Borders on the lime cardstock and Basic Borders for the purple cardstock. After stamping the borders onto the colored cardstock I used the Favor Bag-XL Creative Cut and adhered the bags with score tape. 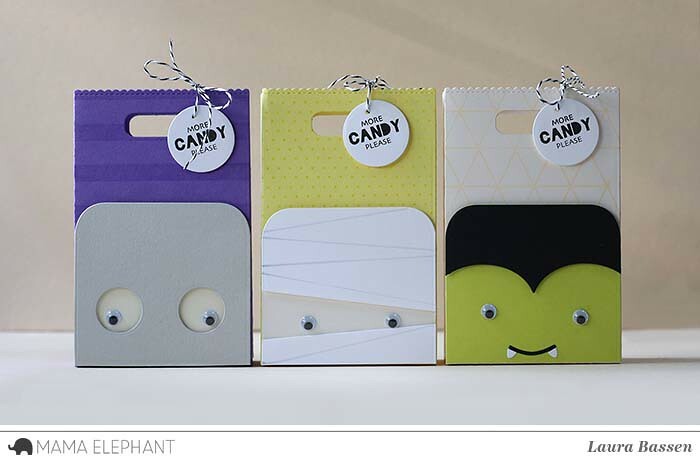 I added adorable faces to each bag using the Favor Bag Accessory-Halloween Creative Cuts. I created a mummy for this first one, adding googly eyes for fun. Never realized how cute a little green vampire could be on a cream triangle favor bag:) These were so fun to make! And lastly, a gray ghost one a purple striped favor bag. 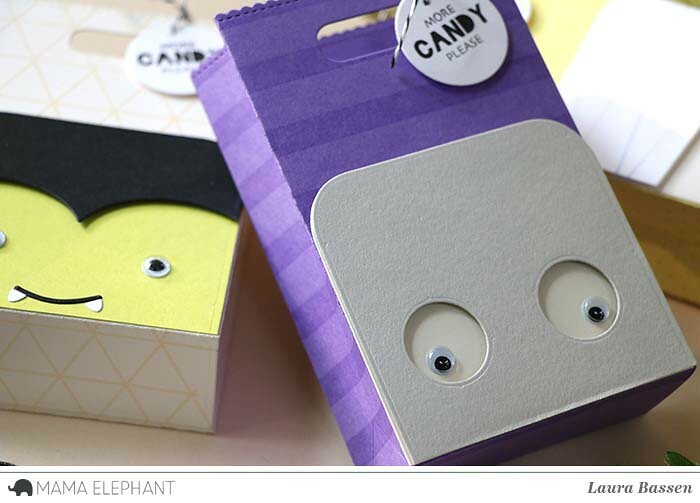 How cute are these faces with googly eyes? I added some little tags using the Plushoween stamp set and the circle die from the Framed Tags-Chelsea Creative Cuts. 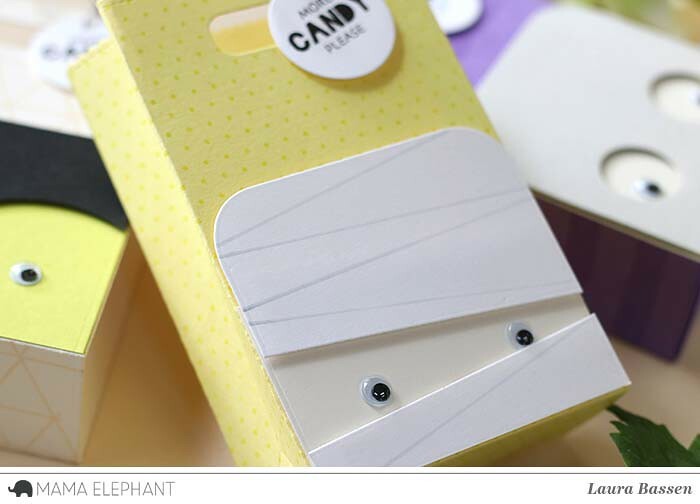 These little favors are definitely too cute to spook:) Thanks so much for stopping by! Love the fun Halloween bags!! 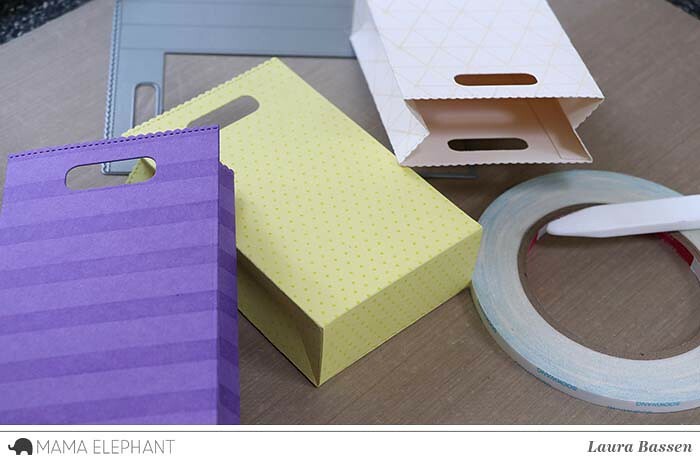 Your FBA Halloween is going so well and this project needs lots of time to complete. Halloween is a good event in which you can fun and enjoyment but you can check out instantassignmenthelp.com.au review to manage your task. This is so imaginary project and hopes it will open some new ways. 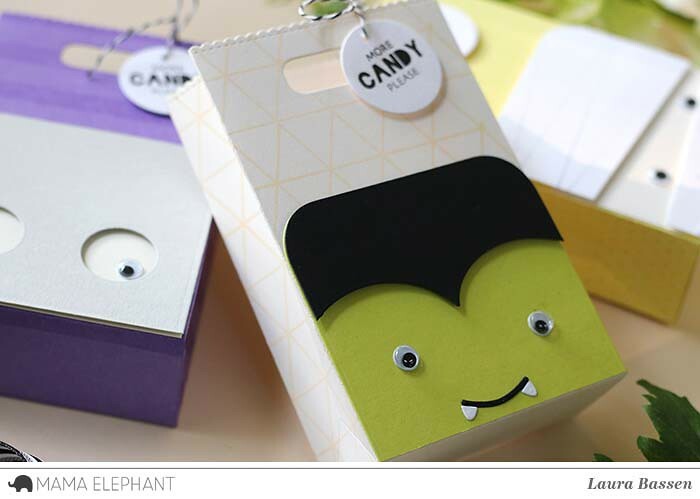 Laura's Favor Bags are absolutely adorable and perfect for the kids at Halloween! I love how she always adds unique details to her projects to make the recipient feel special...I'm inspired!!! Such cute little bags - the kids will love them!! 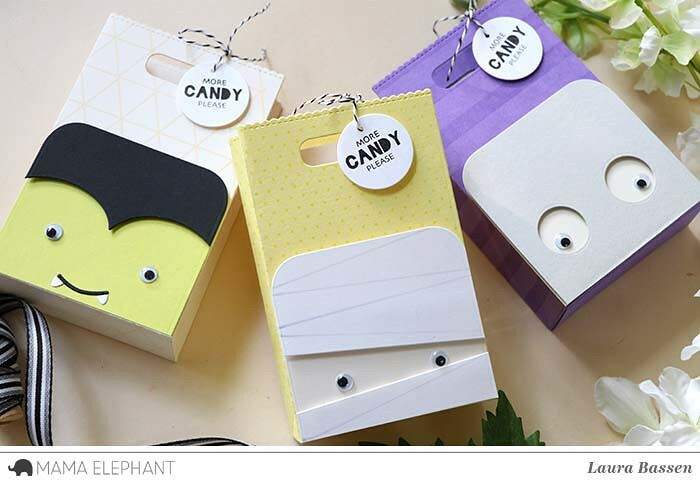 These little treat bags are adorable!